THREE-piece acoustic harmony group the Stiff Gins are not afraid to speak out about burning issues and represent their culture with pride. The girls have taken the once-derogatory term for Aboriginal women and turned it into a name that represents proud and powerful black women. They have had a lot of success recently and received acclaim from critics during their recent world tour. The group launched their new album Origins this month and have started a national tour with Bill Jacobi, Matt Ledger and Ben Fink of Whitlams fame. The Stiff Gins will perform at the Northern Star Hotel tomorrow night. They express a number of Aboriginal experiences in their music and demonstrate the vitality of contemporary indigenous life and music. 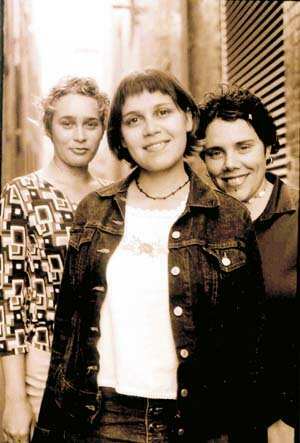 The Stiff Gins formed when Nardi Simpson, Kaleena Briggs and Emma Donovan met while studying in Sydney in 1997. This year they were nominated for a number of awards, including Best Female Artist, at the Australian World Music Awards.